Note the timings and locations of heats, should they be required. 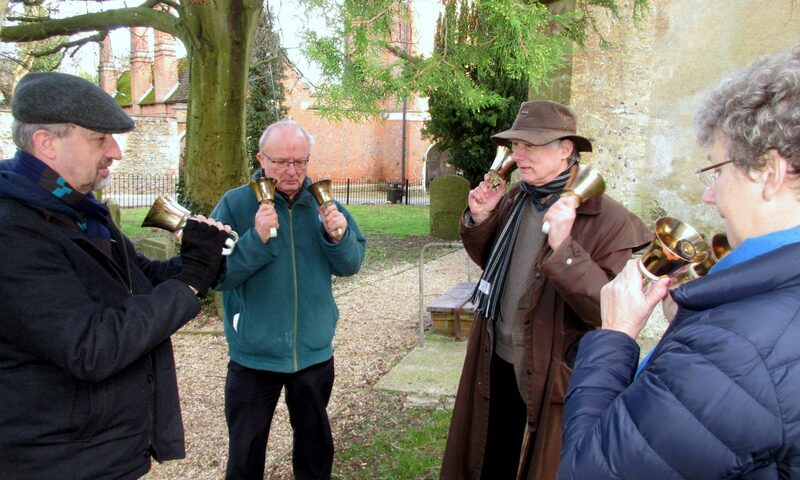 the joy that we get from ringing and from the company of our fellow ringers. Rung on Sunday, 21 April 2019 at Harrow on the Hill (3 The Foss), Middlesex. Rung on Wednesday, 17 April 2019 at Maidenhead (7 Laburnham Road), Berkshire. Rung on Monday, 15 April 2019 at Aston Rowant (The White House), Oxfordshire. Rung on Monday, 15 April 2019 at Tilehurst (15 Lytham End), Berkshire. Rung on Saturday, 13 April 2019 at Cowley, Oxford (20 St Omer Road), Oxfordshire. Rung on Thursday, 11 April 2019 at Aston Rowant (The White House), Oxfordshire. Rung on Wednesday, 10 April 2019 at Aston Rowant (The White House), Oxfordshire. Rung on Monday, 8 April 2019 at Reading (15 Lytham End Tilehurst), Berkshire. Rung on Sunday, 7 April 2019 at Amersham (St Mary the Virgin), Buckinghamshire. Rung on Sunday, 21 April 2019 at High Wycombe (All Saints), Buckinghamshire. Rung on Sunday, 21 April 2019 at Old Marston (St Nicholas, Marston), Oxfordshire. Rung on Sunday, 21 April 2019 at Sonning (St Andrew), Berkshire. Rung on Friday, 19 April 2019 at Tilehurst (St Michael), Berkshire. Rung on Thursday, 18 April 2019 at Clewer (St Andrew), Berkshire. © 2019 Oxford Diocesan Guild of Church Bellringers.